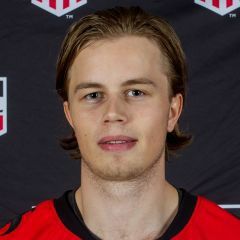 WATERLOO — Emil Ohrvall’s third goal of the game was a winner Saturday as his overtime score lifted Waterloo past Sioux Falls 4-3 in United States Hockey League action at Young Arena. 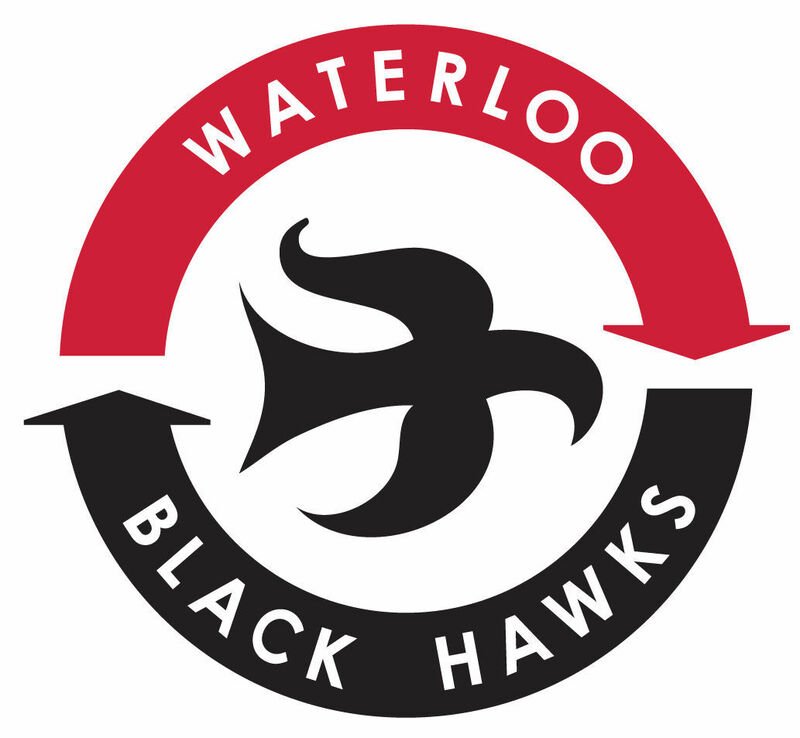 Waterloo took a 3-1 lead into the third period on the strength of two Ohrvall tallies in the first period and Kyle Haskins’ goal in the second, which was the second power-play score for the Black Hawks. Sioux Falls rallied with a shorthanded goal and a man-advantage score of its own to send the game to overtime where Ohrvall won it 1:40 into the extra period. Logan Stein stopped 24 shots to get the win in goal for Waterloo. The Black Hawks (32-14-4-1) and Stampede (32-13-4-1) are now tied for second place in the USHL’s Western Conference. FIRST PERIOD — 1. Waterloo, Ohrvall (Fistov), 4:51. 2. Waterloo, Ohrvall, (Firstov, Sorensen), pp, 12:13. Penalties — Marooney-Wat. (interference) 8:31, Ivanyuzhenkov-SF (slashing) 9:41, Palmer-Wat. (slashing) 9:41, Westcott-SF (roughing) 11:10, Westcott-SF (fighting, misconduct) 16:13, Cameron-Wat. (fighting, misconduct) 16:13, Sorensen-Wat. (slashing) 19:02, Ivanyuzhenkov-SF (hooking) 19:18. SECOND PERIOD — 3. Sioux Falls, Phillips (Swankler, Ivanyuzhenkov), pp, 2:47. 4. Waterloo, Haskins (Marooney), pp, 14:19. Penalties — Szmagaj-Wat. (roughing) 2:47, Bushy-SF (tripping) 3:20, Sioux Falls bench (too many men) 11:15, Crozier-SF (tripping) 12:36, Crozier-SF (misconduct) 15:03, Lee-SF (roughing) 18:12, Lamppa-Wat. (roughing) 18:12, Swankler-SF (roughing) 18:52, Sorensen-Wat. (roughing) 18:52. THIRD PERIOD — 5. Sioux Falls, Romano (unassisted), sh, 7:25. 6. Sioux Falls, Krannila (Chambers, Lee), pp, 9:47. Penalties — Bengtsson-Wat. (high-sticking) 2:01, Krannila-SF (hooking) 6:18, Bengtsson-Wat. (hooking) 7:55, Stevens-SF (unsportsmanlike conduct) 11:40, Cassetti-Wat. (holding) 11:40, Bride-SF (kneeing) 14:24. OVERTIME — 7. Waterloo, Ohrvall (Ness), 1:40. Penalties — none. Power-plays — Sioux Falls, 2-for-5. Waterloo, 2-for-7. Goaltenders — Sioux Falls, Calvaruso (40 SOG, 36 saves). Waterloo, Stein (27 SOG, 24 saves). Officials — Referee, Stragar. Linesman, Almquist. Att. — 2,577. FIRST PERIOD -- 1. Waterloo, Ohrvall (Fistov), 4:51. 2. Waterloo, Ohrvall, (Firstov, Sorensen), pp, 12:13. Penalties -- Marooney-Wat. (interference) 8:31, Ivanyuzhenkov-SF (slashing) 9:41, Palmer-Wat. (slashing) 9:41, Westcott-SF (roughing) 11:10, Westcott-SF (fighting, misconduct) 16:13, Cameron-Wat. (fighting, misconduct) 16:13, Sorensen-Wat. (slashing) 19:02, Ivanyuzhenkov-SF (hooking) 19:18. SECOND PERIOD -- 3. Sioux Falls, Phillips (Swankler, Ivanyuzhenkov), pp, 2:47. 4. Waterloo, Haskins (Marooney), pp, 14:19. Penalties -- Szmagaj-Wat. (roughing) 2:47, Bushy-SF (tripping) 3:20, Sioux Falls bench (too many men) 11:15, Crozier-SF (tripping) 12:36, Crozier-SF (misconduct) 15:03, Lee-SF (roughing) 18:12, Lamppa-Wat. (roughing) 18:12, Swankler-SF (roughing) 18:52, Sorensen-Wat. (roughing) 18:52. THIRD PERIOD -- 5. Sioux Falls, Romano (unassisted), sh, 7:25. 6. Sioux Falls, Krannila (Chambers, Lee), pp, 9:47. Penalties -- Bengtsson-Wat. (high-sticking) 2:01, Krannila-SF (hooking) 6:18, Bengtsson-Wat. (hooking) 7:55, Stevens-SF (unsportsmanlike conduct) 11:40, Cassetti-Wat. (holding) 11:40, Bride-SF (kneeing) 14:24. OVERTIME -- 7. Waterloo, Ohrvall (Ness), 1:40. Penalties -- none. Power-plays -- Sioux Falls, 2-for-5. Waterloo, 2-for-7. Goaltenders -- Sioux Falls, Calvaruso (40 SOG, 36 saves). Waterloo, Stein (27 SOG, 24 saves). Officials -- Referee, Stragar. Linesman, Almquist. Att. -- 2,577.